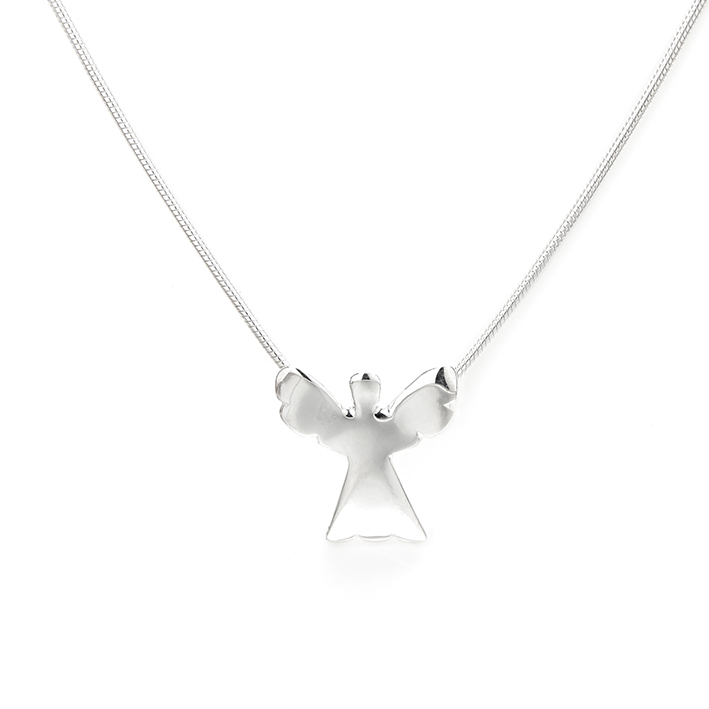 Made from sterling silver, this sweet little angel measures 2cm in length and comes with a 16 inch sterling silver snake chain. This piece is also available in 9ct gold or in sterling silver with a rose gold halo. Posted in Children, Childrens Jewellery, Gifts, Jewellery Collections, Necklaces, The Jewellery, Under €40.